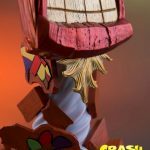 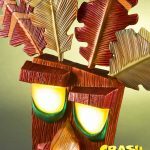 First 4 Figures announces that pre-orders are now open for its newest entry in the Crash Bandicoot line, a life-size Aku Aku Mask statue. 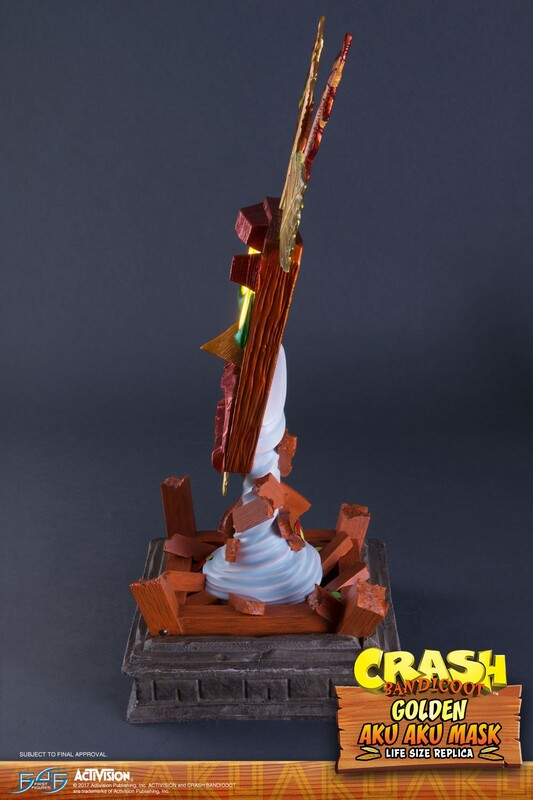 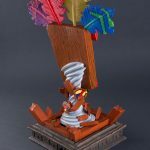 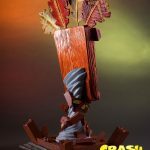 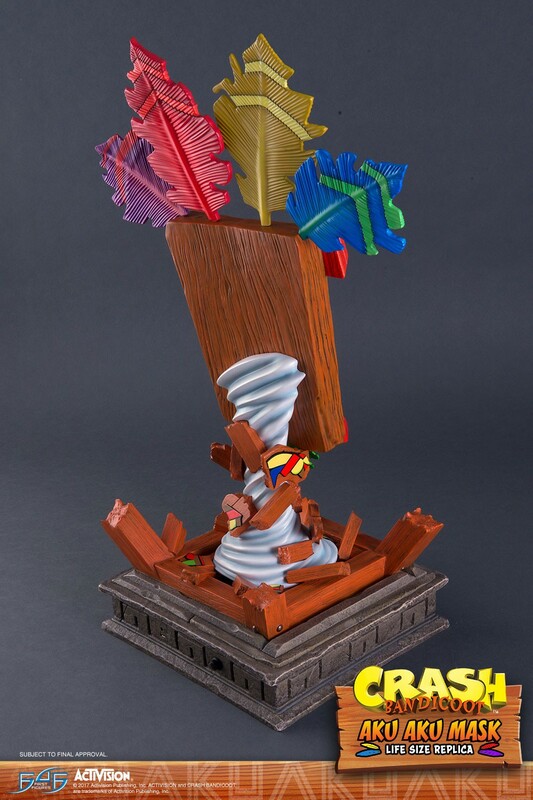 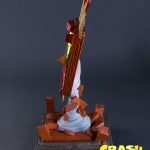 You may recall that back in July, First 4 Figures announced its Crash Bandicoot statue featuring the bandicoot flinging his hands in the air. 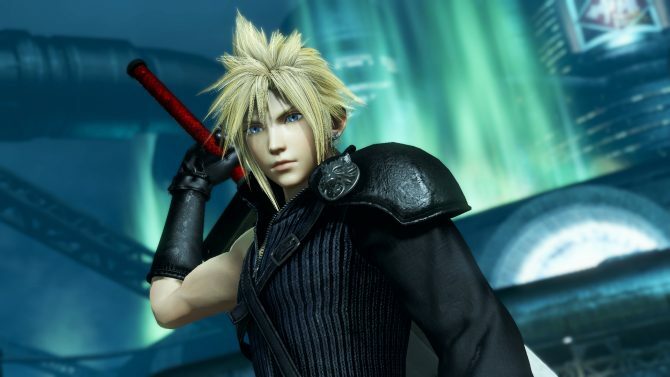 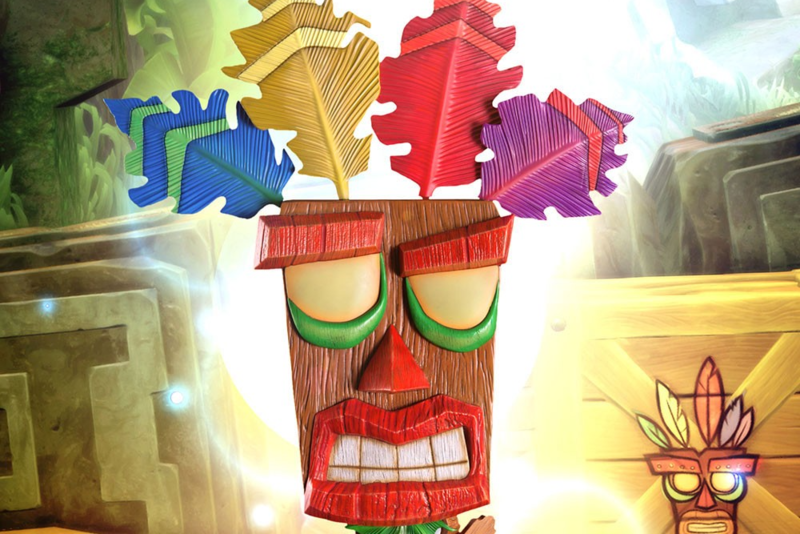 Since then, the team has been working diligently on its next addition to the Crash Bandicoot line-up, and now we know precisely what it will be. 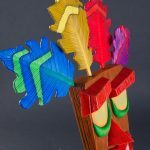 Prepare for a little Aku Aku boost! 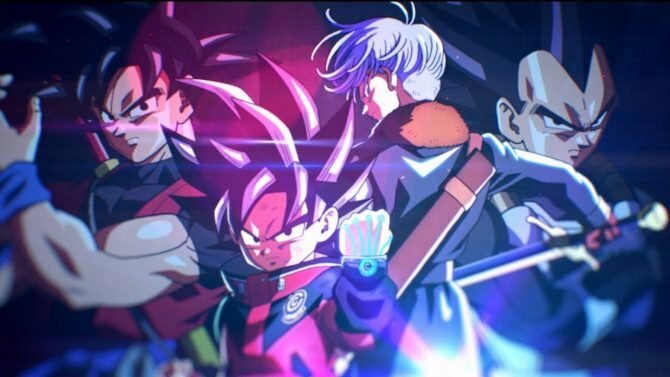 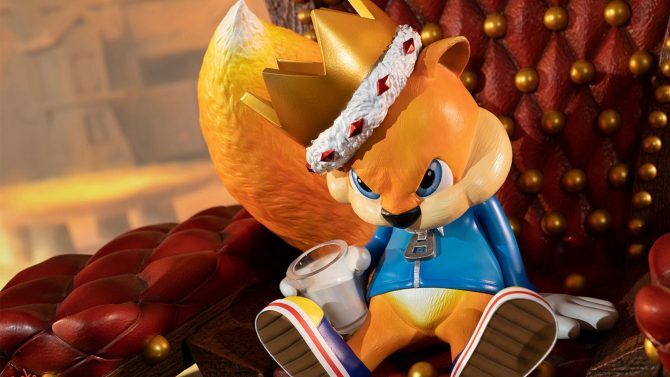 With their newest reveal, the boys at First 4 Figures have provided three figure versions for us all to salivate over, so let’s just get right into it. 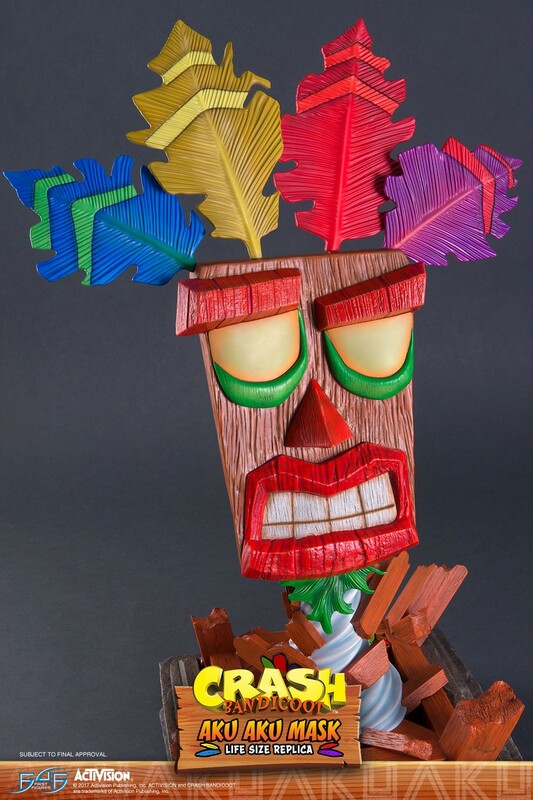 As is standard, the team announced a Regular version of the Aku Aku Mask. 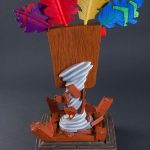 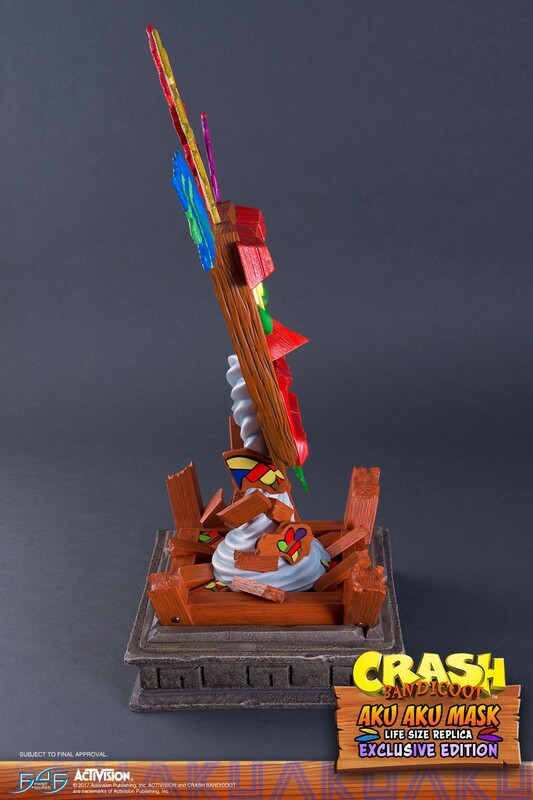 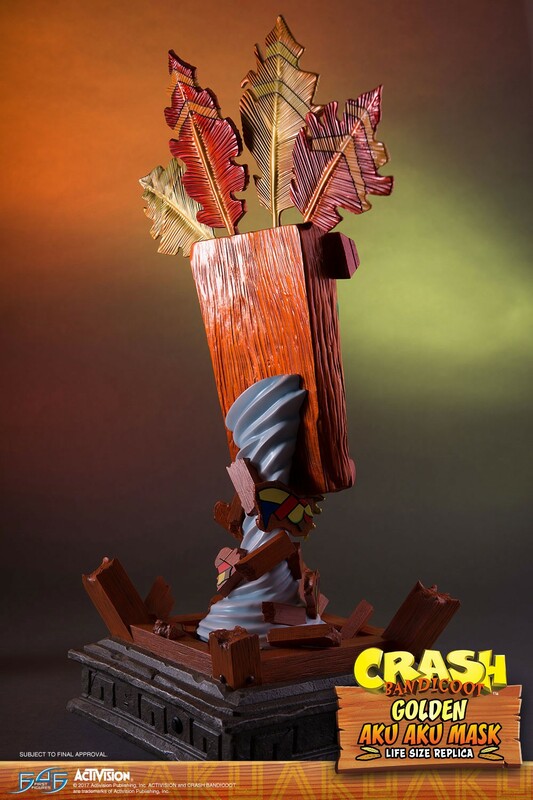 In this statue, we see the spirit of the ancient witch doctor beautifully carved out of resin and bursting out of his crate to offer Crash a little aid. 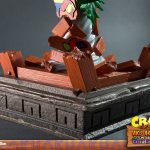 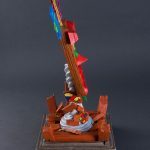 This version comes with a detailed base that has been crafted to look like a stone ruin holding a broken crate, as well as an authentication card. 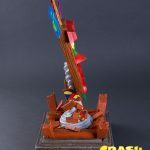 The Regular version will be available for $384.99. 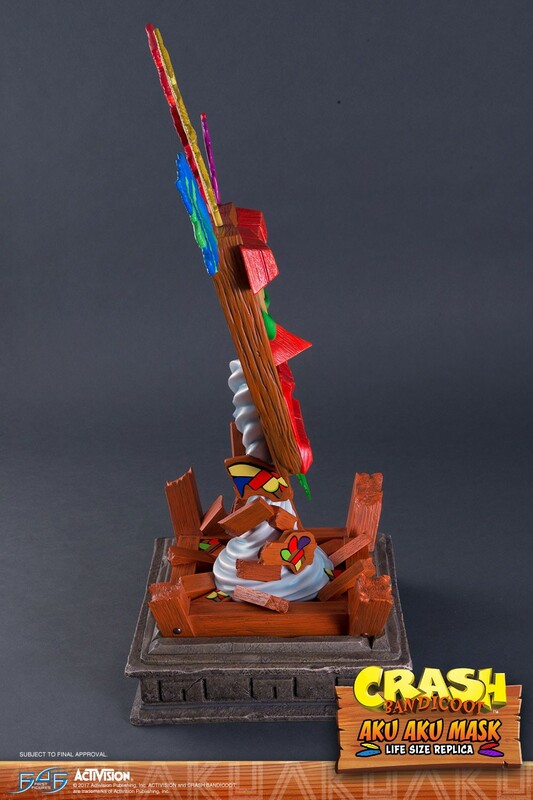 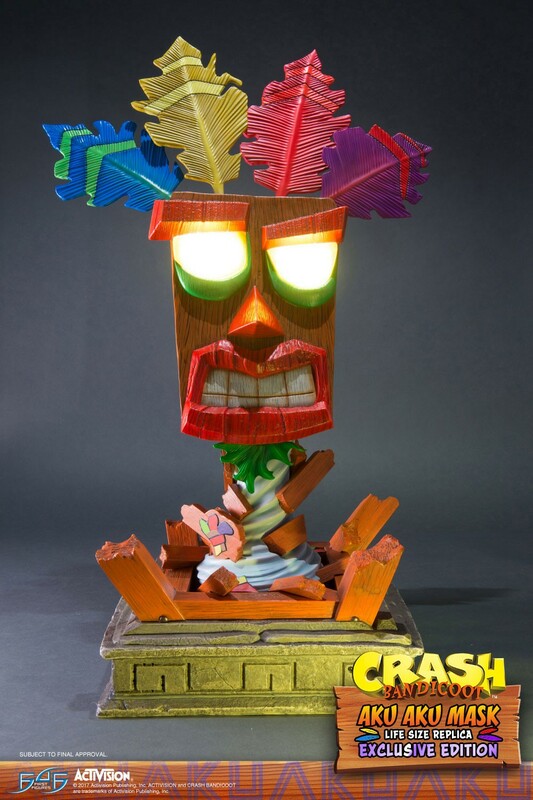 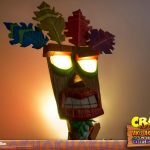 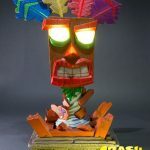 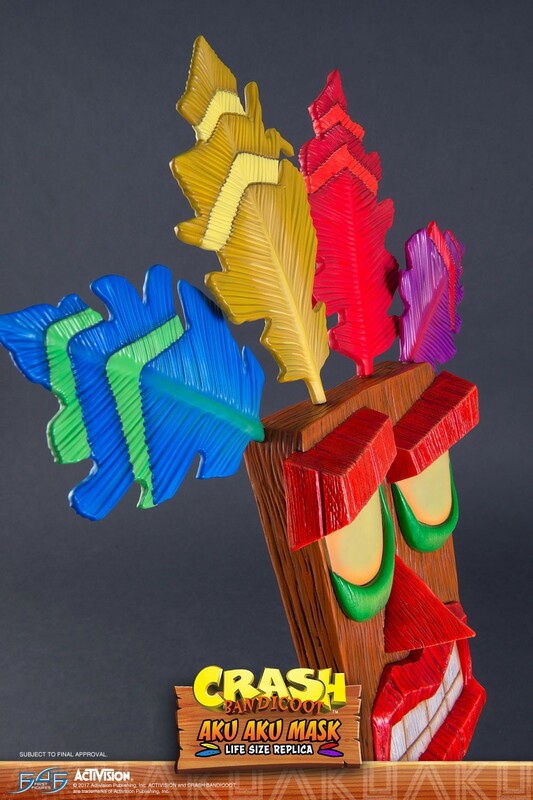 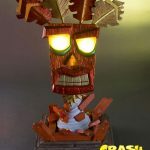 In the Exclusive version of the Aku Aku Mask, you receive all of the elements of the Regular statue, but this version also comes with an LED accent. 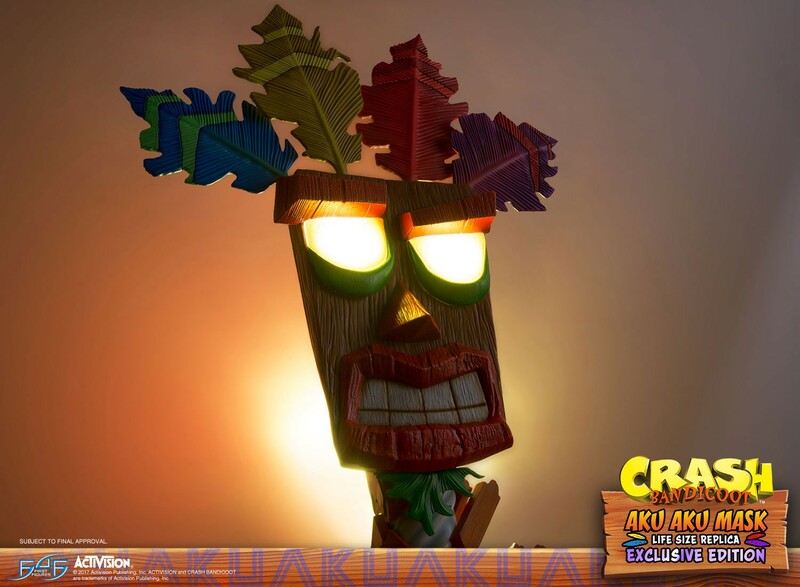 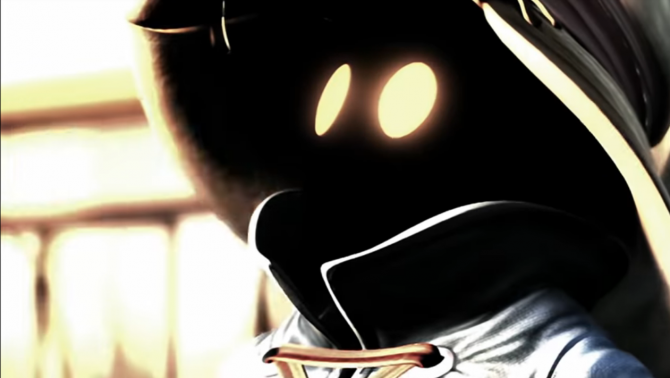 Aku Aku’s eyes have been designed to glow with LED lights for a haunting effect when the lights go out. 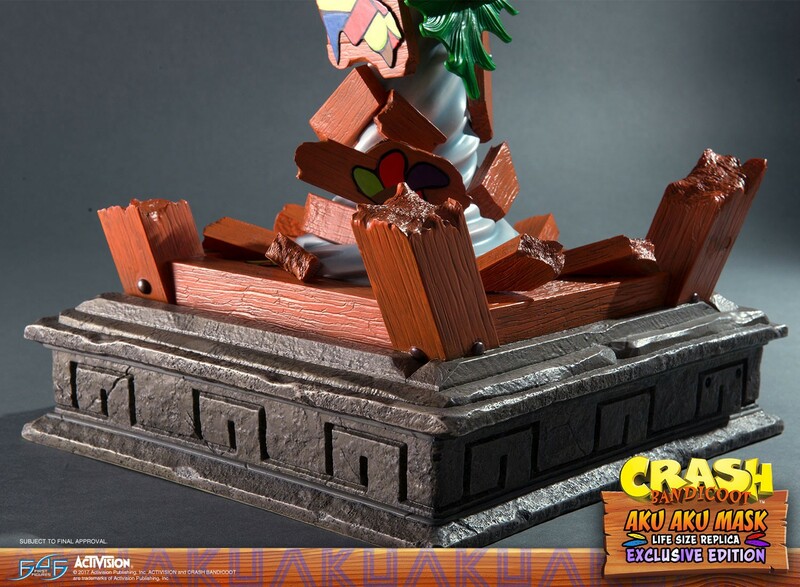 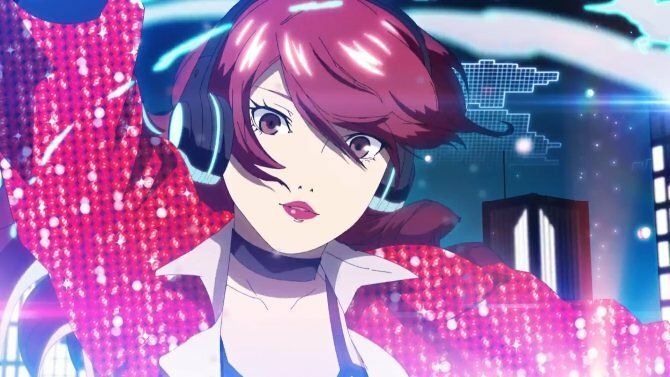 The Exclusive version is also being offered for $384.99. 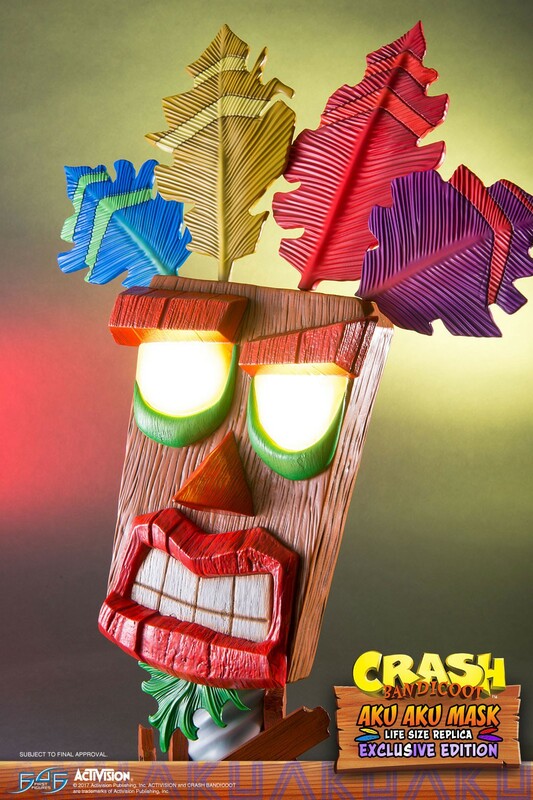 Lastly, we have the Golden Aku Aku Mask, which includes the aforementioned base, authentication card, LED light-up eyes, but also comes with a golden color palette. 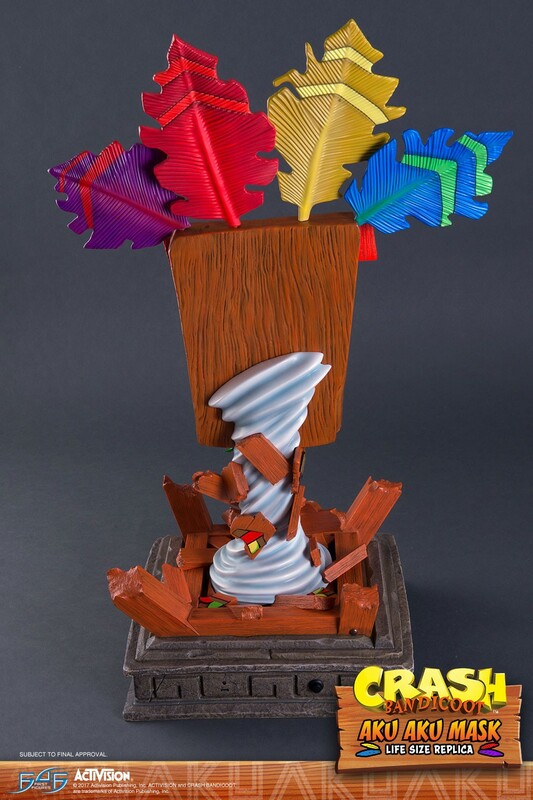 Whereas the Regular and Exclusive versions are vibrantly colored, this one has a distinctly more royal tone. 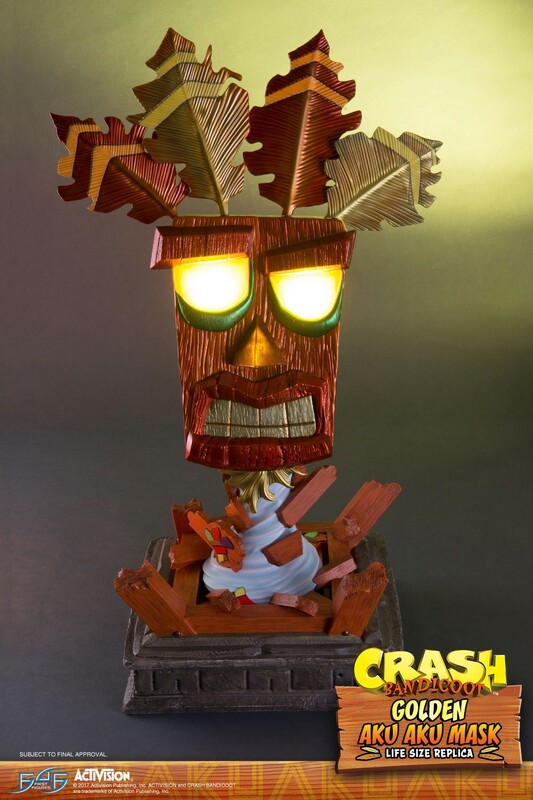 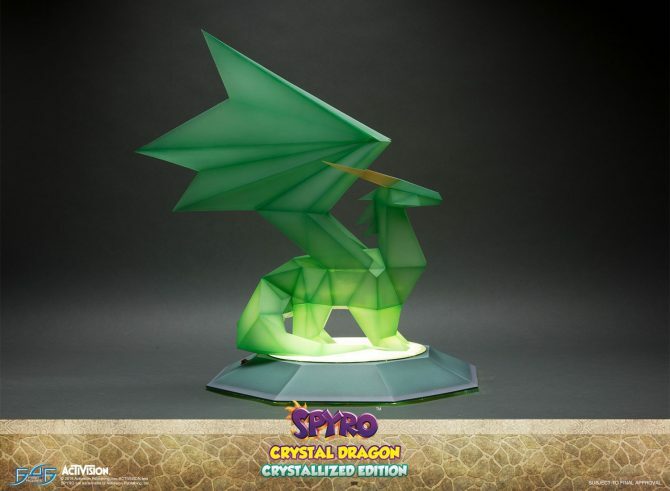 As with the others, this statue will cost $384.99. 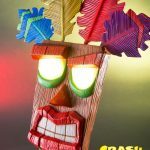 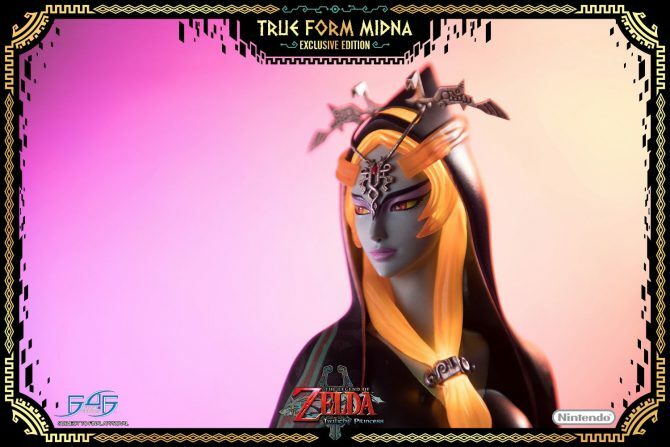 All three masks are currently available for pre-order on the First 4 Figures website. 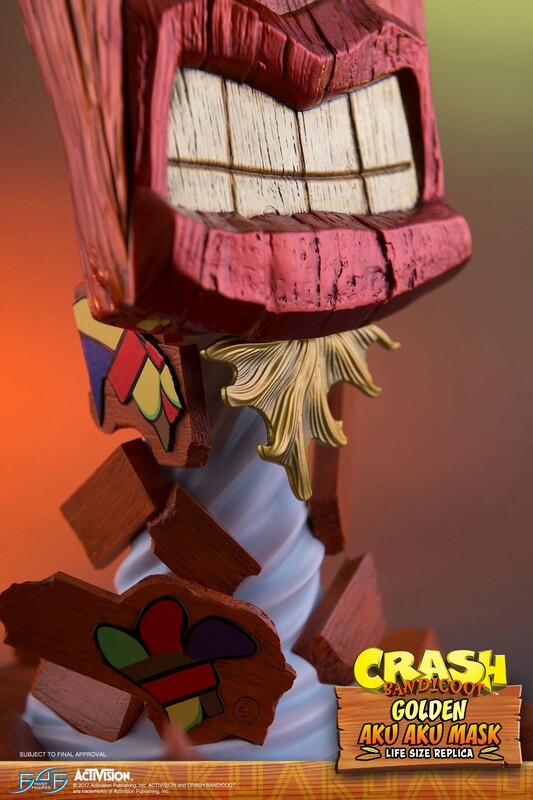 If you’re having a difficult time deciding which one to get, there’s a dangerous combo offer currently available. 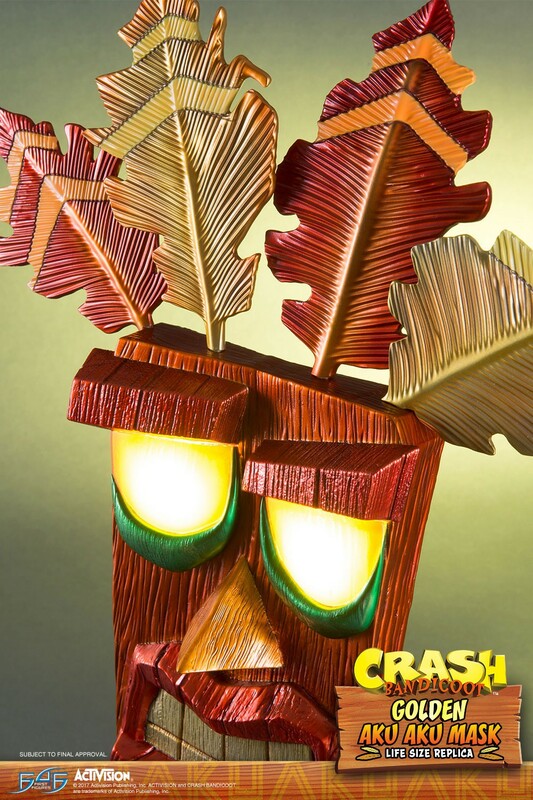 You can order both the Golden and Exclusive versions of the Aku Aku Mask for $699.99. 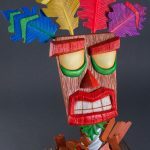 If you’re curious to learn more about the Aku Aku Mask statues or you simply want to know how it was made, you should definitely take a look at the First 4 Figures video provided below that details their process.